We’ve all been there: frozen at the makeup counter, looking at a color of lipstick in the tube and and going, “Yeah, but what will it look like on me?” It’s even worse online, where there are no testers, no employees, and no best friends to give you the honest truth. Enter Bloomingdale’s. They’ve basically solved that problem, without some scary app where you’re forced to turn your latest selfie into a sub-par art project. Instead, the Bloomie’s beauty team has applied their lipstick and eyeshadow onto four models—one fair, one Asian, one black, and one with the green-brown eyes and tawny skin of a Kardashian kid. 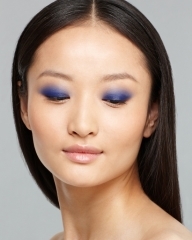 You click on a makeup color, scroll through their faces, and voila! You’ll see what the product actually looks like on four real women. 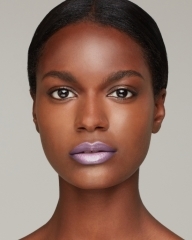 The fun part: Bloomingdale’s has over a thousand shades of lipstick and eyeliner online… and they’ve used most of them in this project. 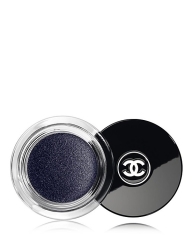 If you’re a beauty junkie, or even just a Crayola fan, you can click on almost every shade of eye and lip makeup they sell, and watch how the hues transform over four diverse faces. It’s fascinating, and fun, and frankly more addictive than Candy Crush. Bloomingdale’s, we adore your accidental video game…and thanks for letting us know how those Chanel eye shadows look IRL, too. Photos courtesy of Bloomingdale's, New York City. 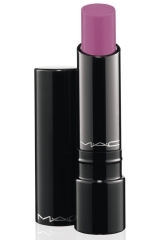 Founded in Canada, M.A.C stands for Makeup, Art, Cosmetics.